« Common sense ways to prevent identity theft. Cord cutting , is the act of ending a monthly cable or satellite TV subscription, it’s one of the easiest disposable income items to remove when budgets get tight, because its something we can all pretty much define as a clear luxury. There are many reasons cable and satellite costs are exorbitantly high, generally the reasons are because of conditions beyond our control (cable monopolies, content provider agreements , broadcasting licensing fees etc. ), but in today’s connected word we have more options than ever before. The purpose of this post is to look at it from a practical point of view and see if I could still watch our favorite TV, sports or movies via legal means sum up the costs, and see how it compares to an average cable/sat subscription… Yes, there are many illegal on-line sources for “free tv” , but besides their illegality, many other issues such as nonavailability, quality and access make them less than ideal choices. While everyone likes to brag about cutting the cord, the truth is if you have Internet , you likely have a cord in one fashion or another ; cable or DSL or fiber , some might be even by using a wireless technology like lTE or WiMAx. So technically, your not really cord free in most cases. Cable companies charge a pretty penny for internet only “cable” and DSL when available is generally limited by speed (most DSL lines have an upper limit of 7 mbps limit in the high end, while most connections average about 3Mbps). This is the typical broadband duopoly situation you are faced with in most areas. Some areas might offer fiber (ie. Fios from verizon) or even municipal fiber (ie. Google Fiber limited to Kansas City)or perhaps BPL (Broadband over Power lines) , but it most cases it’s just cable or DSL. 4G LTE, Wimax or another broadband wirelss service could potentially offer true cordless experience , but bandwidth is generally limited even though modern 4g LTE speeds are comparable to home Wifi connections, they are still mostly used for mobile broadband with pretty restrictive bandwidth caps.. I expect the future versions of these services will truly have the broadband capacity needed to be truly cord free. So my scenarios below will include the costs of the internet, using a fairly pedestrian but usable DSL connection. With the change over to digital TV (HDTV) a few years back, a whole new (or old) option, “rabbit ears TV” is again back for serious consideration. Assuming your antenna can grab enough of the signal to make the OTA (over the air) channel watching experience enjoyable, having live TV most times with HDTV content and a decent selection of channels for free is a great choice. The challenge here is getting good coverage. If you live in a major metro this shouldn’t be a problem, just find the best antenna to grab the most stations, more remote locations will certainly face reception challenges. Assuming reception is clear , this can be a source of great programming. If your reception is less than stellar new services coming to the market like Aereo available in 22 markets this year, will allow you to receive crystal clear TV on-line . There is still some legal wrangling (by ota broadcasters) with services like Aereo but recent court decisions have gone in their favor and that may lead to even more market entrants. Once your Internet provider is chosen, now we can focus on on-line content options. As mentioned ota may suffice for some folks , but if your looking to get recent streaming cable tv shows or movies, you’ll need to pick from one of these options. HULU plus ($7.99/month) , popular TV shows from FOX, NBC, ABC etc. There are many more providers, such as Epix, Vuduu, even Wallmart and Redbox are getting into the on-line streaming game, but the options above are the big name providers right now. Each of the above providers usually has a strength in one area or another (recent TV shows or movies or documentaries , etc) , and thanks to the byzantine arrangement of licensing deals with content providers content access varies greatly among these providers, so you need to first look at each of their offerings and see if it fits your interests.. The biggest gap all cord cutters will face (if they are sports junkies) is live sports or most sports related programming. This is one area the cable and satellite networks have fought voraciously to keep closed. There’s no secret here why neither the leagues or the entrenched content providers (cable and broadcast) are in no hurry to change the system, simply put, cable pays the major spots leagues multi-billion dollar guaranteed contracts for exclusive access to their sport. It’s the reason mlb baseball, nfl football and nba players can command millions of dollars in salaries , most of it comes from TV rights, much smaller percentage from stadium ticket or merchandise sales. Since it’s the big cable, ota broadcasters and satellite companies that foot the bill for most of the expensive content deals with the four major sports ( MLB, NFL, NBA, NHL) plus a whole host of smaller secondary popular sports (golf, tennis, nascar and indy car, olympics etc.) , it’s unlikely that this will change anytime soon. Only when the demographics and economics of on-line viewing shift substantially will we see more true on-line only options..
Basically right now the big four sports offer some sort of limited on-line TV viewing through a mix of traditional ota and provider options and affiliated content (aka require cable subscription) . Most are all over the map, and many have several restrictions on which devices you can watch them on , what games you can see etc. So let me present some choices as they are available today. Basketball NBA very few live games Yes TnT network Playoffs and Finals no online option : NBA League Pass – requires cable. 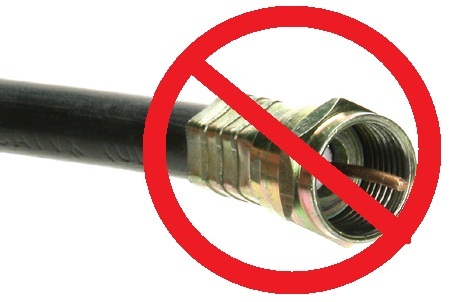 Olympics Yes Yes USA & CNBC & MSNBC; Summer and Winter NBC allowed on-line viewing live of all broadcast events but required cable package – WTF? 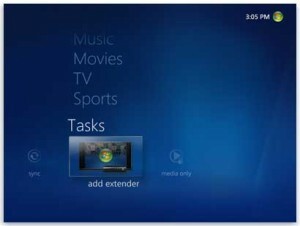 Content Player Options, Smart TV , Xbox, Roku, Playstation, iPad etc. The next choice which player device to watch content from is actually one where you have a fair degree of options. Most people will choose the traditional lean back experience of a big screen flat panel TV. Most modern sets offer some form of Internet connectivity, also dubbed SmartTV’s. Typically with a smart tv you get built in player that plays back most of the major content providers online such as Netflix, Youtube, Amazon Instant video etc..
Also there are a whole host of other connected devices that can play back these sources, such as iPad’s , Android tablets, smartphones etc., but I will limit my focus here to LCD TV’s as this is still the preferred medium for a relaxed lean back experience. If your TV doesn’t have such “smart tv” features you can always get a third-party box such the ones below, then hook it up to your TV to provide the Internet smarts it needs. 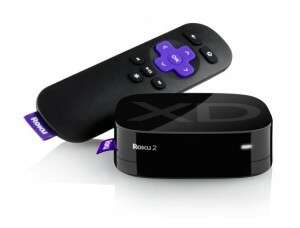 The choices above are the more popular ones, because this is such a hot area , there are many new ones entering the market and current options are constantly being upgraded.. Other options like Slingbox also have some Internet functionality but are more designed to work with cable and satellite systems. My preference is to use a full-blown PC running windows 7 and Windows Media center with a TV tuner card for ota TV , plus an Xbox which acts as the media extender and smart TV box. The reason for this setup is two fold. Windows 7 Media Center offers a free electronic program guide, works with OTA tuner cards (and cable cards if necessary directly, offers DVR capabilities, plus a whole host of other options. And frankly it’s one of the best (albeit a bit dated) interfaces for watching and recording traditional programming. The Xbox 360 , acts as my SmartTV box since with an Xbox Gold subscription (read more about it below), you can access Netflix, youtube, Vuduu, ESPN. Because of the raw computing power f the xbox it’s Netflix and Hulu Plus players are the best on the market. Plus it acts as a media extender allowing me direct access to my Windows Media Center, so I can stream live ota TV via wifi to any room in the house (that also has another xbox), plus offering photo viewing from my connected NAS drive. Those are big, big pluses and hard to match by another third party box. So luckily for us the content player options are pretty expansive, and should offer a good choice to fit almost any budget or viewing preference. Now that I have presented the options let me me break down the cost options for the year. and see how the compare to a traditional cable. I will try to choose popular and useful programming and services and player configuration . Because of the wide matrix of choices, the ones presented here only represent a small slice of the possibilities. I will include a blank pricing spreadsheet , which you can use to customize and figure out your cord cutting options. So there you have it for about $645.00 per year you get a pretty rich set of viewing options, including popular AMC and cable shows, Live TV news, Movies, and sports wise unless your a true team junkie or sports fan, you still get to see the Superbowl, most weekend football games, Baseball playoffs and world series, NHL games, NBA games, and assorted other sports via OTA and Espn . Not a big streaming movie or series TV fan nix Netflix and save $107.40 or adjust your other options based on your viewing preferences. Now let’s compare that to cable ( I chose Comcast Cable TV+Internet my regional provider ) advertised as $69.99/6 months then $89.99 afterwards, so the average I’ll use is $80, actual cable pricing varies too much based on package chosen, cable provider, region, new or existing subscriber, etc. but this number is in line with the NDP study of the national average of $86/month. Savings over traditional cable about 33% , nothing radical but it could be more if you adjust your show and movie choices or your neighborhood cable is higher.. So there you have it, yes , cord cutting does save you money. IT’s not an end all be all, but here’s a surprise neither is cable or satellite, since often you won’t have the one or two programs available without bumping up to the next most expensive tier. plug in your local costs and see how you make out. Amen Abrandao. As a huge college football honk, I tried cutting the cord last year and came right back to DirecTV. One has many streaming options for most TV shows available for purchase via iTunes or Amazon approximately 24 hours after the show has run on network TV. Moreover, movie fanatics can get first crack at purchasing online and DVD releases well before they hit the premium movie channels. However, live sports programming is a completely different beast. The options to purchase live sports programming are generally limited to out of market programming as detailed by you above and moreover, the quality is hit-or-miss at best. I hated going back to DirecTV, but short of that, I had no viable options as a sports fan short of accepting mediocre live sports streaming or frequenting local sports taverns. I bought an HD TV antenna, but because of where I was located I was unable to get NBC. Agreed Tony. Cutting the cord is something I recommend for anyone I know that doesn’t care to watch sports regularly. I have a bright idea 1. If you have cable Internet, usually the broadcast channels are unscrambled. Just plug the cable into your HDTV and scan the cable channels. If you want to be legal usually there is a (non-advertised) plan where you can pay for the broadcast channels for $15 per month. Boxee Box Rules. I got mine over a year ago and would never go back. It offers more content than Roku for anyone outside of the US. Hulu is US only as well. Problem is media companies are starting to infect the independent content providers like Roku.. for example..
Let’s see what Apple does with the next product I suspect it will provide a real alternative to cable..
NBA league pass has an internet and apple TV option only available. You no longer need cable or satellite. Thanks Josh, as I mentioned in the article this is an on-going and rapidly changing process, I’ll update my table periodically, thanks dude!